Souvik & I just got back from a trip to Danang, Hoi An and Huê in Vietnam. The light & colour extravaganza didn’t end there. 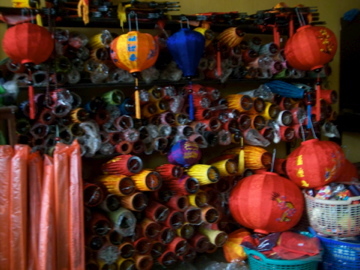 The ancient town of Hoi An had the most beautiful lanterns on display and sale. We stayed at the Palm Garden Resort. Could it get more inviting than this? The only thing that prevented us from soaking in the sun was the clouds and the rain. Continuously! So we wandered around the Central Market of Hoi An, which is a UNESCO Heritage site, and was built by Chinese merchants and shopped some. 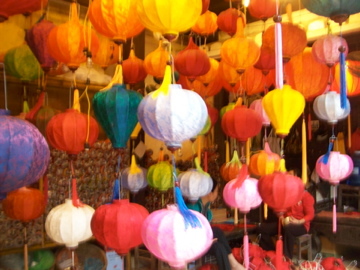 We went back to the market in the evening to see the lanterns all lit up!